As soon as you list your home with us, we will enter your home in the Multiple Listing Service (MLS) database. Other agents can immediately access your property information by computer. We also regularly publish in magazines and newspapers in the area and send out direct mail pieces to potential buyers. When you think about it, there are several other homes for sale competing with your home. We will help you price your home competitively to attract qualified buyers. The way we do this is by generating a Comparative Market Analysis (CMA) report, which will show you a range of prices being paid for homes in your area. You can complete our online form to get a feel for your home’s market value. 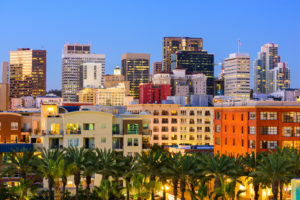 We planned an out of state move to San Diego, finding the right Realtor was essential. She was patient, helpful and attentive as she determined our needs and found us a home that we would not have found without her. She dealt with inspections and contractors with our best interests at heart as we could only do so much from the Midwest. Importantly, as we traveled across the country, she made sure that the purchase proceeded smoothly and was waiting for us when we arrived with everything ready. A year on, we still thank her for finding us the perfect home in a new city.